For those of you new to Fourth & Sycamore, or who are unfamiliar with Pam’s work as a book reviewer for F&S, here’s a look at her bio: Pam Munter has authored several books including When Teens Were Keen: Freddie Stewart and The Teen Agers of Monogram (Nicholas Lawrence Press, 2005) and Almost Famous: In and Out of Show Biz (Westgate Press, 1986) and is a contributor to many others. She’s a retired clinical psychologist, former performer and film historian. Her many lengthy retrospectives on the lives of often-forgotten Hollywood performers and others have appeared in Classic Images and Films of the Golden Age. More recently, her essays and short stories have been published in more than 100 publications. Her play Life Without was produced by S2S2S, and nominated four times by the Desert Theatre League, including the Bill Groves Award for Outstanding Original Writing and Outstanding Play (staged reading). She’s a Pushcart nominee and has an MFA in Creative Writing and Writing for the Performing Arts. 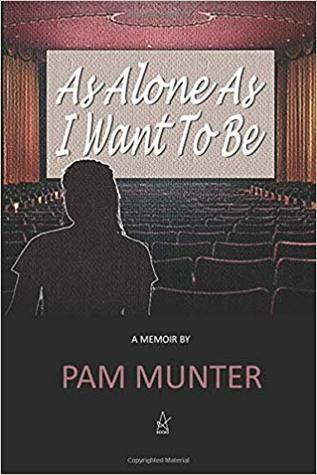 Her memoir, As Alone As I Want To Be, was published by Adelaide Books in 2018. So without further ado, let’s get to the interview! Amanda Rodeheffer-Olson: Can you tell us a little about your writing process with this book? Did it vary in any way from the other books you’ve written? Pam Munter: The process in writing this book was completely different from the previous two. Almost Famous was an autobiography, which in contrast to a memoir, is very linear and explanatory in nature. My son had brought home a brand-new Apple 2E in 1985 and I was so enamored, I couldn’t break away from the keyboard. The book just rolled off the computer. The second book, When Teens Were Keen, was a research and interview-based book. It was such a pleasure to write. It detailed the lives and stories behind a series of eight obscure Monogram films done in the 1940s. As Alone As I Want To Be emerged in pieces and thus, its essay structure. 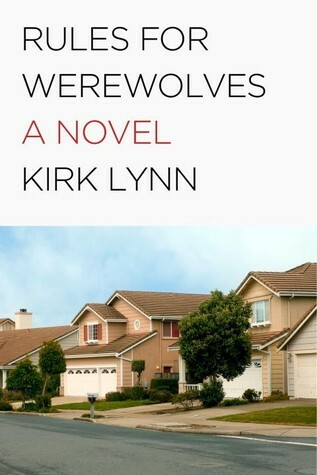 It rose as an assignment for my low-residency MFA in Creative Writing and Writing for the Performing Arts at the University of California at Riverside/Palm Desert. I had not intended to write a book at first, just a series of personal essays to fulfill my obligation to the program. The nonfiction graduation requirement was to finish 125 pages, but over the years, I had embarrassingly little difficulty in spewing out dozens of essays in over 300 pages. It was only as I approached the end that I began to organize it. In contrast with Almost Famous, As Alone As I Want To Be is a series of essays and, while it’s more or less in synch with the timeline of my life, it’s a far more emotional journey—both for me and, I would hope, for the reader. Each essay can stand alone without knowing the full context, too. Amanda: How long did it take you to complete the writings for this book? Pam: After the degree was granted, I found I had more to say. The beast had been unleashed! I wrote many more memoir essays, some of which were included in the final manuscript for Adelaide. Incidentally, all but one of the essays have been published, many reprinted. Being published in literary magazines was a test of sorts. Was the essay good enough to stand on its own and would it be of interest to people who didn’t know me? I suppose you could say it took me a little over three years to complete the project. Amanda: Did you encounter any struggles during the creation of this book, or was it fairly easy to write? Pam: Ha! Well, writing about one’s life is supposed to be difficult! It’s a colossal existential risk. How transparent should I be? How much should I tell the reader about myself—my strengths, my weaknesses and foibles? And what about the people who were instrumental in my life? How to write about them, especially the ones who were destructive forces? I tried to be sensitive to possibly hurt feelings and also cognizant of possible lawsuits. In the end, I opted for telling the truth. In one difficult chapter (“Lost in Loss”), I secured the permission of the subject, just to be sure I would do no harm. With some of the others, I opted for a pseudonym. In contrast, it was pure joy to write about those who really helped me along, like repaying a debt. It’s daunting to think that people who read the book will formulate judgments about who I am and the choices I’ve made. I experienced that with Almost Famous, too, written when I was still in private practice. But over the years, I’ve learned that people’s appraisals often reflect more about them than about me. 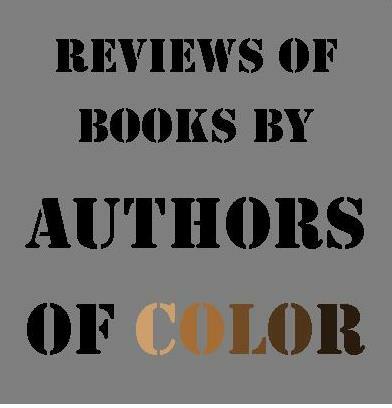 The reviews on Amazon so far have been very good but the nature of formal book reviewing involves creating a balance of pros and cons. Being a book critic myself, I understand what’s likely ahead! Amanda: Did you learn anything about yourself in the process of writing this memoir? Pam: In the process of writing, I became aware not only of the ongoing recurring theme, the intense drive toward creativity in its various forms, but how resistant that drive was to extinction. There were fallow periods, to be sure, but the raging river wasn’t blocked for long. The reinventions were, well, awesome. I came to appreciate the diversity and depth of the life I have chosen to lead, too. Amanda: How long have you known you wanted to write this memoir? Pam: I spent years writing about other people, mostly obscure movie stars. And, of course, I had been a shrink, a clinical psychologist in private practice for a quarter of a century. People’s lives have always fascinated me. Given the mandate to write personal essays in grad school, I did – and, as Katharine Hepburn once said of herself – found myself fascinating! Others had long suggested I write a follow-up to Almost Famous (which was published in 1985) but I didn’t want another linear, careful autobiography. Opening the vein was far more seductive. Amanda: Do you have any plans for another book? Pam: Yes. 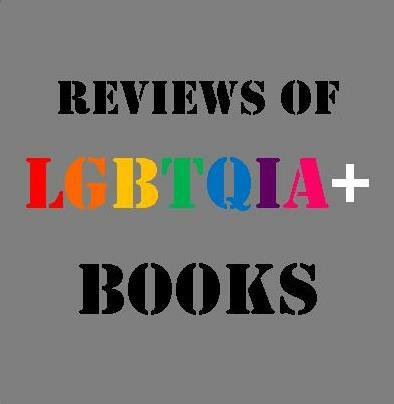 There are two more currently seeking a publisher. The first is another book of personal essays. While they contain more random themes than As Alone As I Want To Be, they’re all observations and reflections from my perspective—from riding on a milk truck as a kid to wandering through the fabled MGM lot in Culver City as an adult. The theme of the second book is “women of a certain age,” with which I can certainly relate! In this, I’ve put together a series of short stories (and two plays) having to do with how women who have had long performing careers deal with their ending. It could be characterized as historical fiction, as I never stray too far from my nonfictional roots. It’s certainly timely and poignant. I also have submitted several chapbooks with that same Hollywood theme, a state of mind that echoes throughout in my personal history—which anyone who reads As Alone As I Want To Be will discover! Amanda: Was there a particular story in this book that was especially difficult to write? Pam: Not surprisingly, revisiting devastating moments was very difficult. I often cried as I wrote, wandering around in a fog for days. And yet, the most semantic grappling came with the last chapter, “Growing Up Alone.” I wanted to provide something of a life summary without it sounding as dry as all that. My intent was to help readers see that my life is not so unlike theirs. Their lives, too, have challenges, pervasive themes, passions, a light burning from within. Ultimately, my goal in that final chapter was to advocate the treasuring and mining of one’s internal life, learning to trust oneself, living life as fully and authentically as possible. I probably wrote that chapter fifteen times before I said what I wanted. If I read it again today, I’d probably want to rewrite it again! Mine is very much a life in process. The opening quote in the book is from George Bernard Shaw: “Life isn’t about finding oneself. Life is about creating oneself.” That’s an important message. Amanda: Which story is your favorite? Pam: My favorite is probably the one most reprinted: “Sinatra’s Mic.” It represented the pinnacle of my show biz dreams: recording a CD at the iconic Capitol Records in Hollywood. The ecstasy and intimidation I felt during that time shines through the essay and I can easily put myself back there whenever I read it. A close second would be “Romancing New York,” where I took my performing dreams to the top venue in New York City, the Oak Room of the Algonquin Hotel, mentored by two of the legendary singers of their time. And the more humorous essays reflecting my sardonic style were also fun to write. Amanda: Any advice for other memoir writers? Pam: Find out who you are before you sit down to write because it’s your job to let us in. If all you’re doing is telling stories, it’s insufficient to hold our interest. You must tell us what matters to you and why. Many successful memoirists these days sell well because they have endured tragic circumstances, are famous or have a pathological personality. Those stories, while affecting and even entertaining, can’t be easily translated into helping others. We love watching train wrecks but we don’t learn much from them. My mission was to reveal but also to educate. With effort, one can learn how to live a healthy and productive life. A huge thanks to Pam for sharing more about herself and her book! One of my frequent complaints about contemporary literature, music, and films is that so often it offers sensation instead of human understanding, compassion, or social elucidation. Many see no problem with that as long the depicted situations are either compelling or authentic. Hence, it was with elation that I read Pam Munter’s comment that “We love watching train wrecks, but we don’t learn much from them.” As someone who has been deeply influenced by the books I’ve read and the movies I’ve seen as well as the spiritual guidance I’ve received,I am keenly aware of the ways I have benefitted from these sources in learning “how to live a healthy and productive life.” This interview has certainly made it more likely I will buy or find a copy of “As Alone as I Want to Be” in the coming weeks.